תגיות: ישראל, צבא, מוסד, mossad, Killing Rituals, Nir Zamir, global, war, terror, middle east, israel, palestine, B00CR0Z7ZO. Introduction to “The Killing Rituals”. Back in the 80’s, the two Superpowers were still engaged in the Cold War; international terrorism was a prelude to Al-Kaeada and ISIS, setting the stage for what has become the 21ST Century’s violent nightmare; and interracial romance was perceived as science fiction. Based on true events this authentic political thriller provides you with a realistic rendition of the people and strategies deployed to combat global terrorism – and the politics that drove both. “The Killing Rituals” reached # 1 Amazon Best Seller status in the “Espionage Thrillers” category – as well as # 1 in the “Mystery, Thrillers & Suspense” and the “Action & Adventure” categories! It is available in Paperback and Kindle edition, just in time for fun spring reading. An African American CIA Agent who falls for her MOSSAD partner. An ex-KGB Officer pulling strings behind a Middle Eastern terrorist organization. A Scottish Coast Guard Captain manipulated by a bunch of seemingly-amateur sea-faring women he saves from a storm. A terrorist campaign that starts with a vicious attack at Rome international airport. And a Palestinian nationalist fighting for his cause. Written by a former Secret Service agent, this suspenseful political thriller rocks you from one corner of the world to another while painting a realistic canvas of the war between Western democracies and the complex web of international terrorism. The year is 1985 and a deadly wave of terrorist attacks has erupted throughout Europe and the Middle East. Raadel Huseini, a passionate Palestinian nationalist and a commander in Abu Nidal’s terrorist organization is about to launch a spectacular assault designed to shatter the international balance of power. A discrete branch within the Russian government is pulling the strings from behind the scenes, pitching intricate campaigns that serve its internal politics’ agenda. Ben Shimron, an Israeli MOSSAD agent, and Michelle Ramsey, an African-American CIA officer, are teamed up at the head of a covert bi-national anti-terrorism task force. Engaged in a race against time to intercept Raadel’s operation in Europe they come to share more than their professional duties. But a high ranking Soviet defector debriefed by the FBI exposes a mole in a Western intelligence organization operating in the US, a revelation that threatens US-Israeli collaboration to neutralize the intensifying global threat. Based on true events that took place during the 1980’s, this political thriller evokes real operational methods as it ventures through the violent conflict between international terrorism and those charged with uprooting it, with realistic rendition of people, strategy, and the politics that drive both. Nir Zamir had served in the Israeli army’s Special Forces and Anti Terrorist units as well as in the Israeli Secret Service. 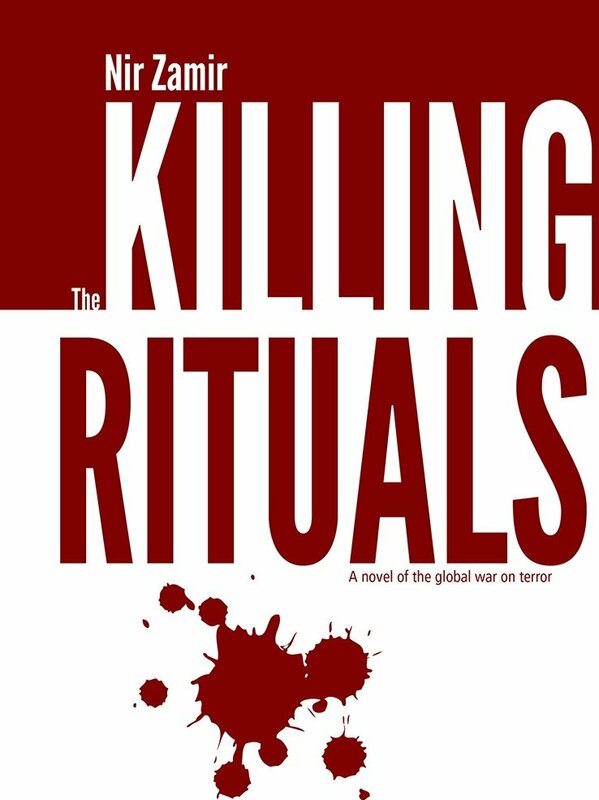 Men Killing in Rituals is his first novel, following the earlier publication of ‘War Horse’, a short non-fiction story about the 1982 Lebanon war, published by The North American Review in 1991. An avid martial artist he is a volunteer at Budo for Peace, a non-for-profit organization set up to foster reconciliation & coexistence between Israeli Arab and Jewish youth. He lives in Israel with his wife, three children, and a female Akita named Chinto. ספר מתח אמיתי, עד הרגע האחרון. העלילה מתפתלת ומפתיעה כל פעם. קריאה מהנה במלוא מובן המילה. פשוט תענוג. חבר ראוי למסדר הקלאסיקה של ג'ון לא קארה ואחרים.